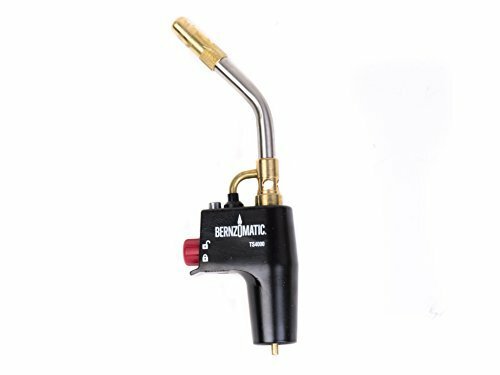 The product is map-pro, trigger start torch, instant on/off trigger increases fuel savings & convenience, lock button keeps torch lit for finger-free use, replaceable brass tip, burn tip produces swirl flame for maximum heat output, pressure regulated to burn in all directions, cast aluminum construction provides added durability, for use with propane & map-pro fuel.. easy and simple use kit. The product is manufactured in United States. The BernzoMatic trigger-started cast aluminum torch head light is a self-igniting high-temperature torch head designed for easy operation. Simply pull the trigger for ignition, and release it to turn off. This head produces a swirl flame and burns propane or mapp gas. Pressure regulation allows the flame to burn in any direction and ensures consistent performance. Even while the flame burns, the replaceable brass tip stays cool. The stainless steel burn tube, cast aluminum body, and brass burn tip are constructed for durability. 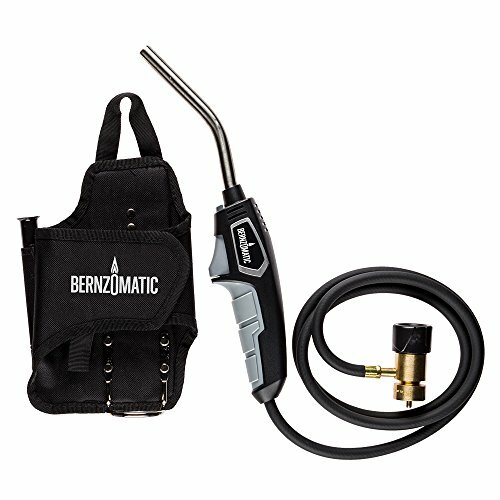 The BernzoMatic torch head weighs 1.3 pounds and is backed with a 1-year limited warranty. TRIGGER START - Trigger start torch for ease of lighting, instant on/off trigger increases fuel savings. DURABLE - Stainless steel burn tube, cast aluminum body, brass burn tip. HIGH PERFORMANCE - Pressure regulation allows the flame to burn in any direction and ensures consistent performance. SWIRL FLAME - This head produces a swirl flame and burns propane or mapp gas. 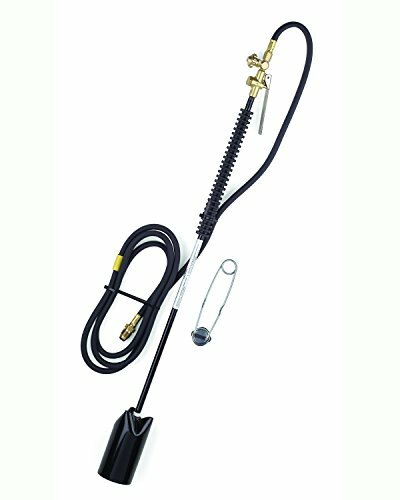 The Lincoln Electric Inferno Propane Torch Kit is great for burning brush and weeds, repairing road surfaces, removing paint, melting tar and asphalt in roofing applications and removing snow and ice. Has quick shutoff valve for safety. 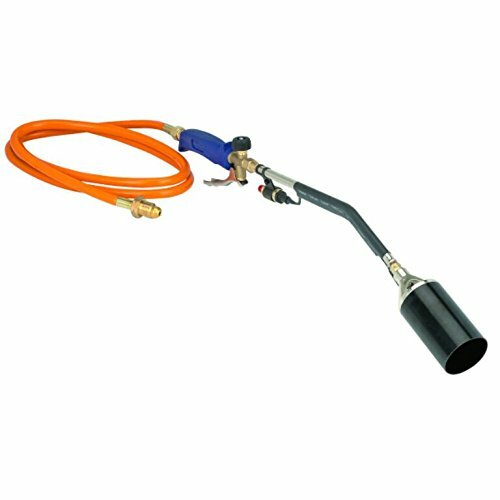 Comes with a 10 ft. liquefied petroleum (LP) gas hose striker for up to 350 psig. The FRCTL 9XTL Blue Flame Multi-Purpose Torch with Built-In Ignition is the perfect torch to fit all of the needs you could have. 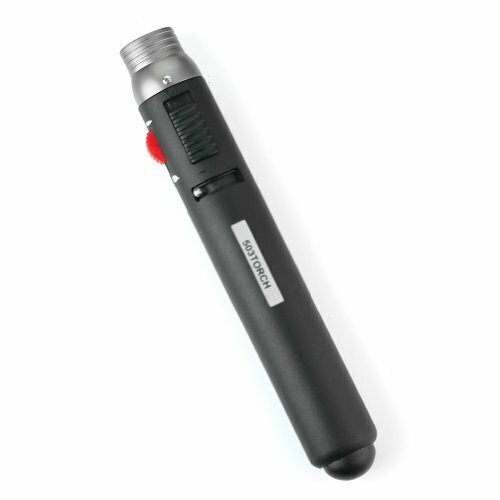 From a SEAR / HEAT SHRINK Tip to a SWIRL Tip this torch can function for almost any need that you could have for it. With an adjustable dial that allows you control your flame size, it truly makes it able to complete almost any task you could need a torch for. It runs off mapp gas or propane and has an auto start/stop ignition which easily ignites and extinguishes the flame quickly. 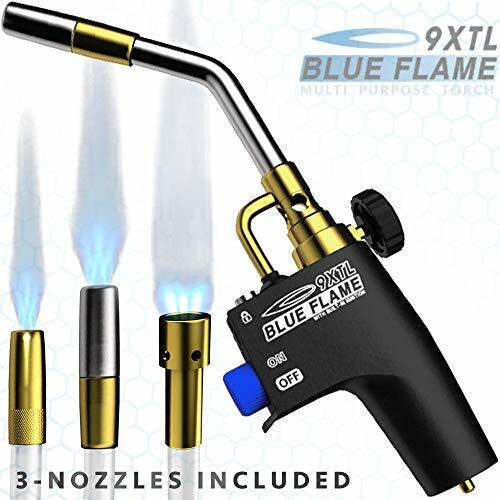 This torch provides the maximum heat possible with an ultra swirl, blue flame that is perfect for soldering, brazing, heat treating and light welding. The Perfect Torch for: Soldering, Brazing, Heat Treating, Loosening bolts, Light Welding, Stripping Paint, Sous Vide Cooking, Searing Steak Etc.. Brand: Red Dragon | Manufacturer: Flame Engineering, Inc. Features: Precision welding, cutting, brazing, soldering, hand facing and more! 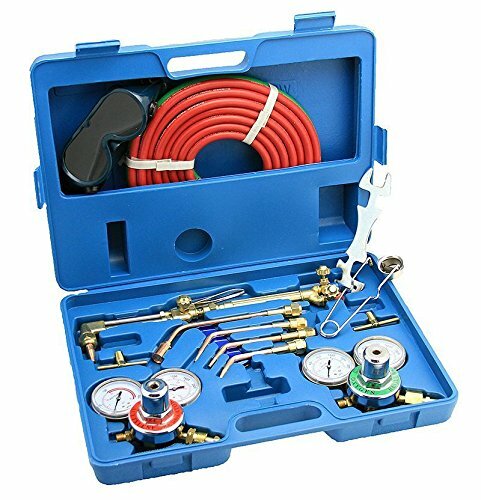 Cut up to 6" and weld or braze up to 1 / 2 " with appropriate tips High-capacity Oxygen and Acetylene regulators, with a full 2 1/2" diam. 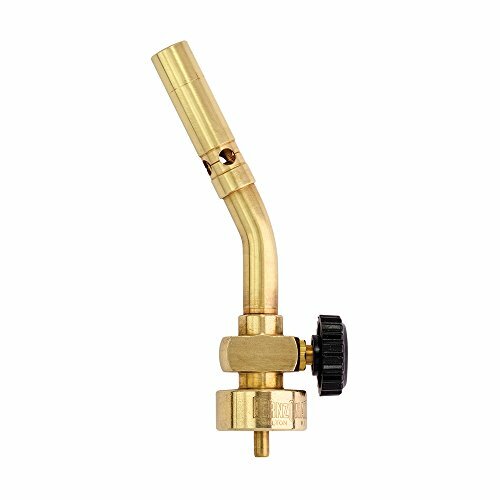 for optimal performance Deluxe single stage regulators with reverse flow check valves, brass torch handle and brass valve body for maximum strength and durability Precision torch handle with dual check valves, cutting attachment and cutting tip (size No. 0) 3 welding nozzles (size No. 0, No. 2, No. 4), all with a swaged tip and individual spiral mixer Flint striker tool and goggles with a No. 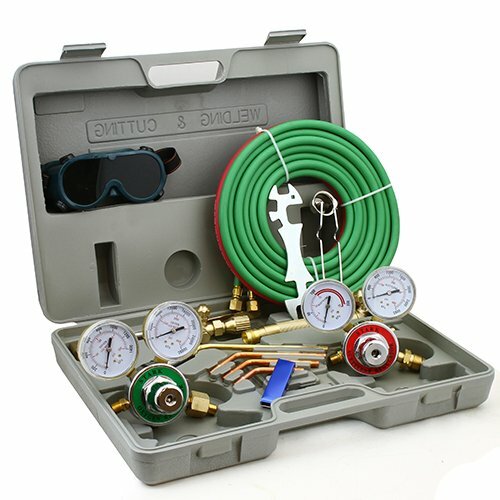 5 shade 15' welding hose, tip cleaning tools The whole Kit is constructed of stainless steel and brass for durability Perfect for an Amateur Metalworker or a Seasoned Professional All-brass torch handle and check valves Brass and steel cutting torch attachment Brass and copper welding/heating tip UL-listed cutting torch and rosebud heating tip (size No. 6) This is not a Victor Brand. Propane power in the palm of your hand! 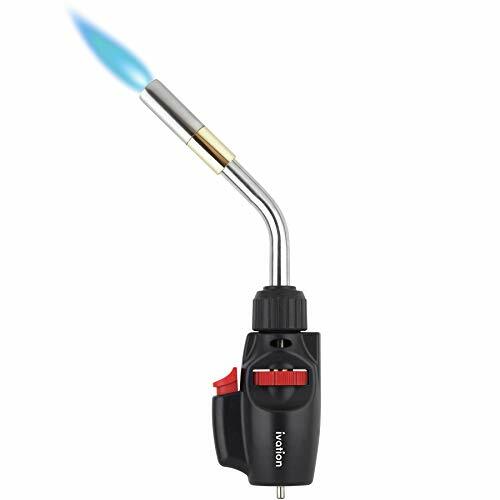 Tackle a variety of household and professional heating projects with this cool Trigger StartPropane Torch from Ivation. Designed to accommodate light welding, dab, dabbing, soldering, brazing,thawing, heating, melting or drying jobs, our high-intensity burner makes a perfectaddition to every tinkerer's workbench. Whether you're performing light electrical work, mounting components on a circuit board, making jewelry, repairing vinyl or thawing frozen pipes, the torch's simple operation makes solder work a breeze. Our burner's maximum heat output provides a continuous flame for precise application (no matter your skill level). So put away the bulky equipment, and choose innovation with purpose. Add a Trigger Start Propane Torch to your cart today! 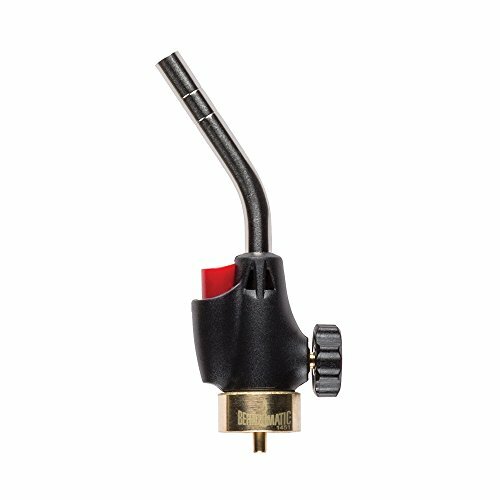 Despite its tiny, ergonomic size, the torch produces dependable heat up to 2372 F (1300 C), making it an ideal choice for light soldering, plumbing work, glassblowing and metalsmithing. Whether you're working at home, in the garage or on the jobsite, enjoy instant access to heat. Once the unit is assembled, the one-touch ignition button delivers a propane-powered flame in seconds. Get your gas whatever way works best. The torch is designed for use with any CGA 600 or US 1" thread valve. The burner tube is also removable for replacement as necessary (extras not included). Achieve immediate ice melting results that will amaze you with the unique One Shot Bare Blaster propane torch. Eliminate the back breaking work of chipping dangerous icy patches to prevent slips & falls. With the Bare Blaster, you can get rid of black ice and hard packed snow/ ice quickly and easily. The Bare Blaster is made of nickel plated steel and brass to withstand the elements. It weighs under 4 lbs., including the propane cylinder (not included), and uses either 14 oz. or 26 oz. propane tanks which are available at most hardware stores. The Blaster has a full 31" reach so that you don't have to stoop and crouch. The flame control is adjustable. You'll get year round use for summer weed control - just aim and blast them away. 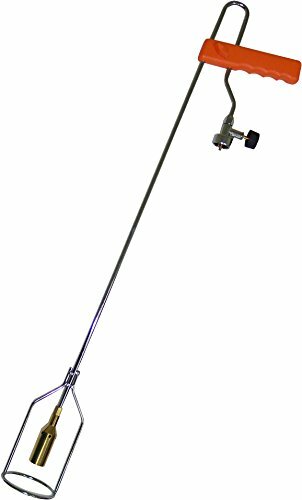 SELF LIGHTING TORCH triple point flame, brass valve body for durability and a stainless steel burn tube for strength. Use with propane fuel only.